Colour e-ink Kindle on the cards? Kindling for the colour Kindle fire? All Samsung's e-ink companies are belong to Amazon now, as the retail giant has taken Liquavista off Samsung's hands. Word that the sale was on the cards first surfaced in March, at which point Samsung did little to deny that the two companies were in talks. 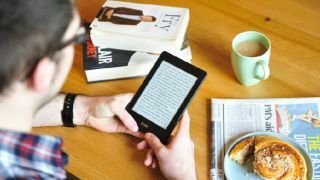 Amazon says that it "may be able to incorporate" Liquavista's colour e-ink technologies into future products "over the long term", which suggests that a colour e-ink Kindle may be on the way but certainly isn't imminent. "The Liquavista team shares our passion for invention and is creating exciting new technologies with a lot of potential," the Amazon spokesperson added. "It's still early days, but we're excited about the possibilities and we look forward to working with Liquavista to develop these displays." Now join us over at the speculation station: Amazon may already have colour tablets on the market in the form of the Kindle Fire range, but a colour e-ink ereader, with its similarities to reading from the page, could be just the thing to persuade the last remaining print-loving luddites that digital reading isn't the devil's own game. What's more, with colours and a touchscreen in the mix, some simple apps could even hit the ereaders too - after all, what people really need are more distractions when they're trying to read.